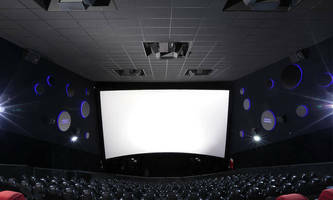 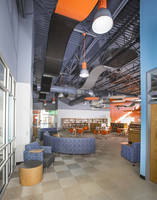 Ceiling Panels enhance audio quality of performance space. 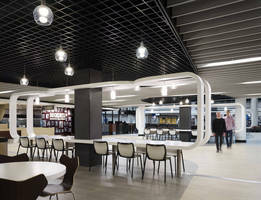 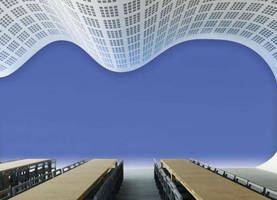 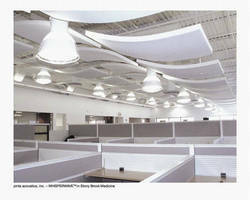 Perforated Acoustical Gypsum Panel can create curved ceilings. 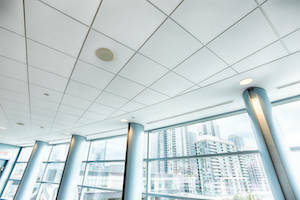 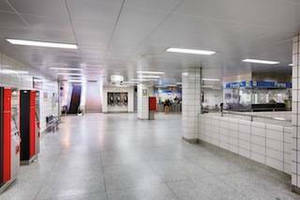 Ceiling System absorbs and blocks sound.